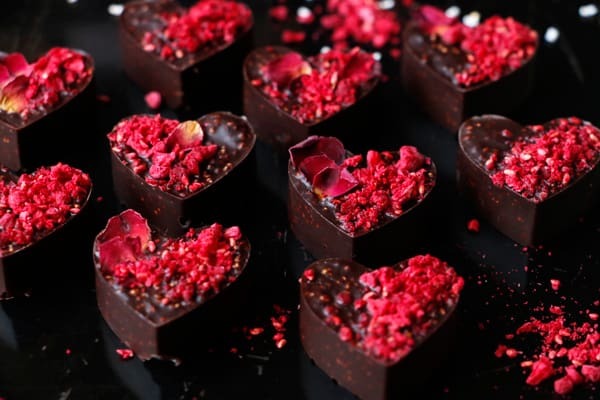 I’m happy to be working with Amore di Mona vegan allergy-friendly chocolate yet again to bring you some new Valentine’s Day themed recipes and I’m starting today with these delicious beautiful Raspberry Amaranth Chocolate Hearts. 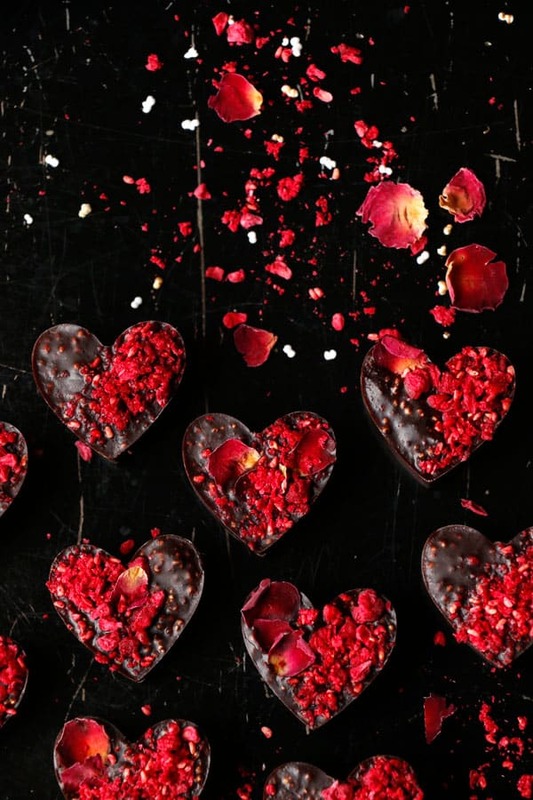 It might be too early for Valentine’s Day kind of post, but I thought everyone could do with little Love hearts in January amongst all of the New Year’s resolutions, goals, detoxes….you’ve got to sneak some chocolate in at some point. Just look at these gorgeous little things, plus they couldn’t be more simple to make. 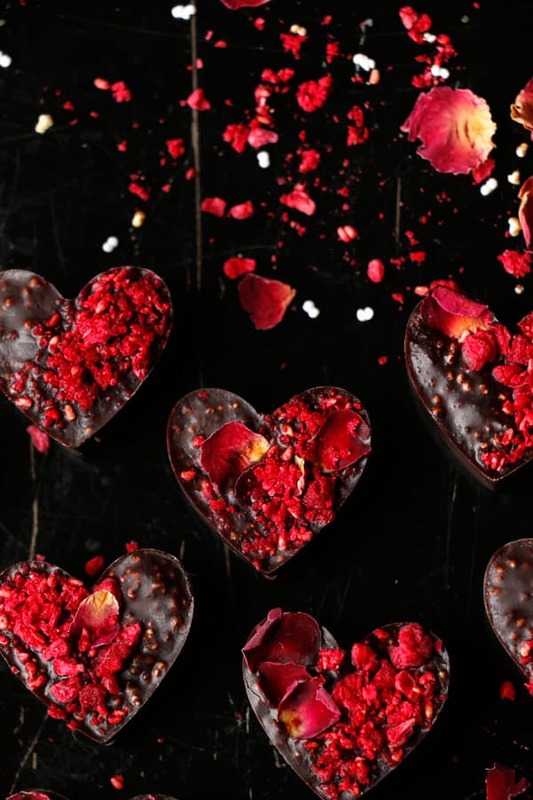 Originally my plan was to make quinoa chocolate bark, but I couldn’t popped quinoa the way I would have loved to and as I started working on the recipe my new heart shaped silicone mould just arrived in the post. 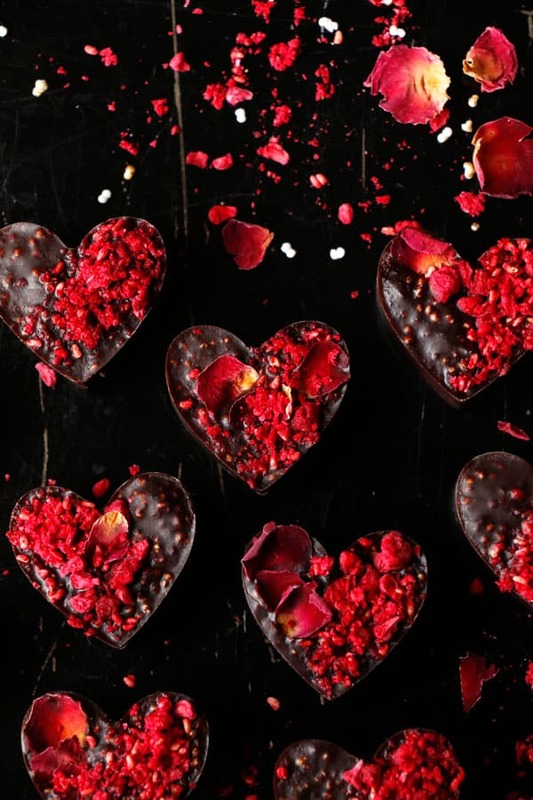 So I swapped quinoa for amaranth and chocolate bark for the heart shapes. And I couldn’t be happier with the result. 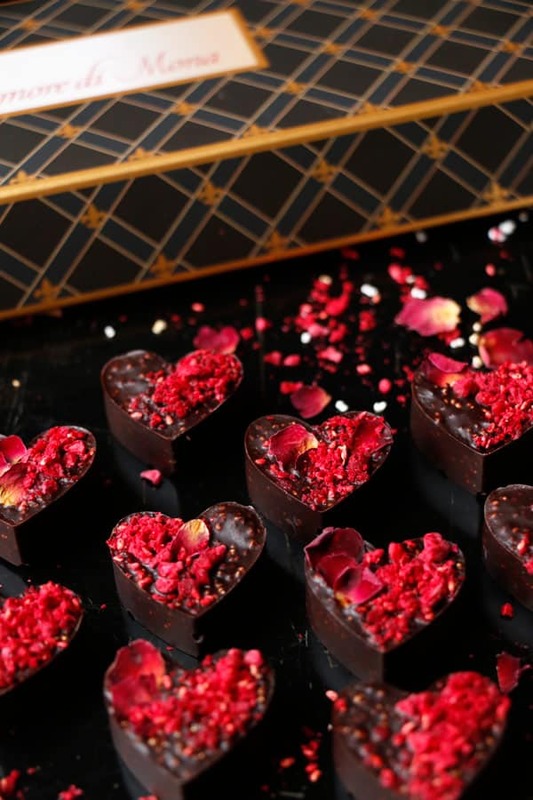 3 ingredients is all you need to make this recipe – dark chocolate, popped amaranth and dried raspberries, dried rose petals if you like to make it extra special and silicone hearts shaped mould. Simple and so effective. And did I say they taste utterly amazing? 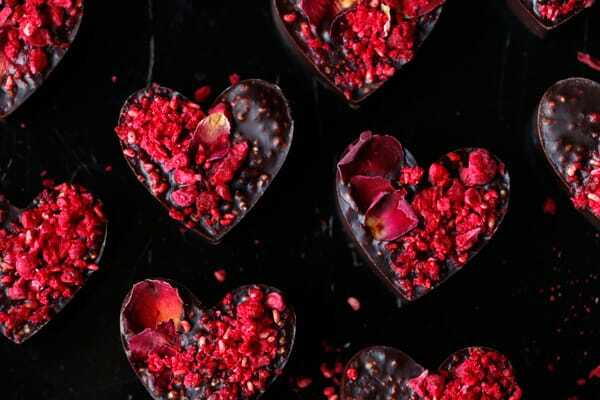 Popping amaranth is a breeze and gives these hearts lovely twist and lightens up the texture. 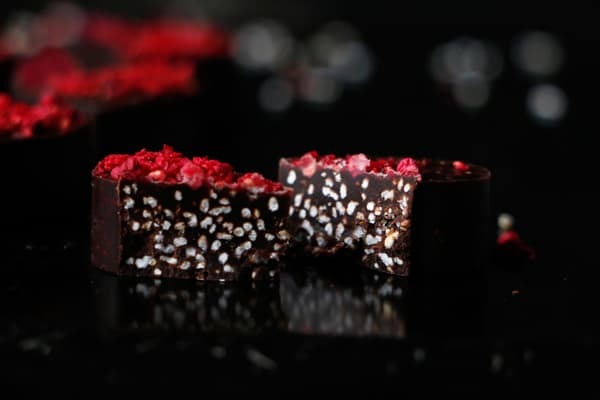 Dried raspberries give it a little zing and so do the rose petals. I’m so happy how these turned out, simplicity at it’s best. Heat up deep medium size pot and lower the temperature to medium. Add 1tbsp of amaranth and stir or toss continuously until most of the grains have popped. It will look white once ready and only takes few seconds, don't let it start to brown. Scoop into a bowl and repeat with the next 1tbsp of amaranth. You will need 4tbsp for the recipe, but I recommend to make more and save some for later. It's messy and expect some of the amaranth to come out of the pan. You could use lid if you like, but I find it's difficult to keep an eye on it once covered. Experiment with what works best for you. 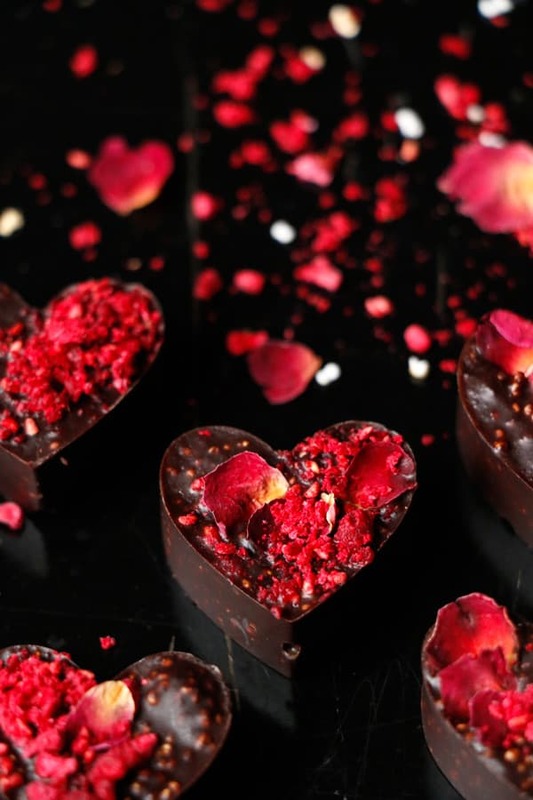 Prepare the silicone mould, freeze dried raspberries and rose petals. Blend some of the dried raspberries into fine powder. 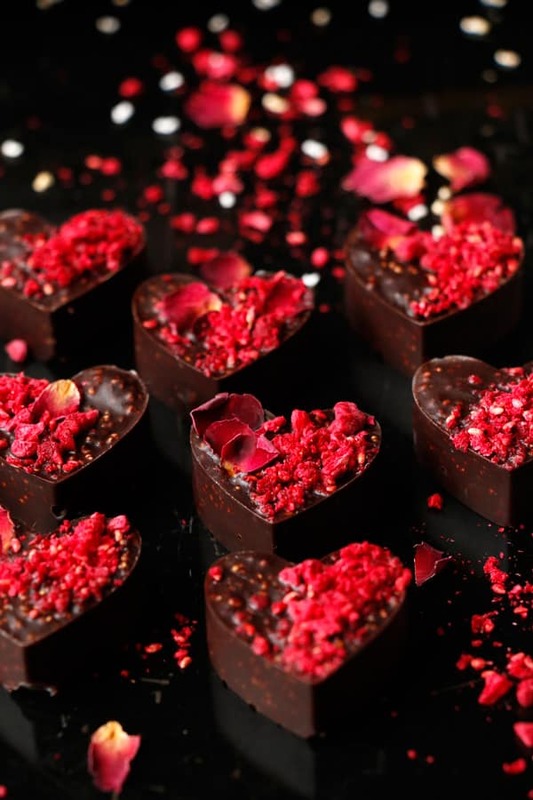 Finely chop the chocolate, place into a bowl and gently melt in a double boiler or microwave. Stir in 1tbsp of amaranth at the time to achieve the right consistency. Add pinch of sea salt. Carefully spoon the mixture into each of the heart shapes until full. 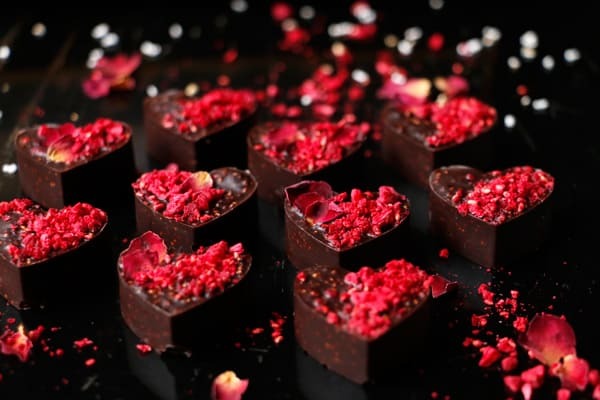 Top with freeze dried raspberries, raspberry powder and rose petals. Place into freezer for about 10 minutes until set. I've used silicone hearts shaped mould with individual hearts measure of 3cm. My goodness, these look delicious! Adding it to my endless list of things I want to make that my mom can also eat (though to be fair, I’d have to swap the raspberries for her; I love them but she hates them, haha). Also, to let you know, I found your blog just yesterday. It is great, I’ll be coming back.